Remember when Pirates of the Caribbean: At World’s End ended with that final tag of the movie, revealing Will Turner and Elizabeth Swan’s son? If you’re wondering what he’s up to now — 10ish years later — turns out he’s he’s following in his father’s boot-steps in more ways than one. The new Pirates movie, Pirates of the Caribbean: Dead Men Tell No Tales will feature Will and Elizabeth’s son, Henry. And he’s already getting into trouble with Jack Sparrow. From the trailers released for the film, we had a sneaking suspicion that this Henry (played by Brenton Thwattes) might be a Turner. Thanks to a new behind-the-scenes video from Disney, this rumor is confirmed. Glad to see that Henry — who starts off as “a headstrong young sailor in the Royal Navy” but lol, that clearly goes out the window real fast — has his parents zest for adventure (and good looks). The behind-the-scenes featurette also reveals a little bit more about the story, and so far, everything about it looks pretty darn epic. Disney is already teasing that this might be the ~last~ time we charter a ship with Jack Sparrow, so at least we’re going out with a BANG. But, if Disney is asking, we would be totally fine following Henry on his adventures across the Caribbean (with or without dad). 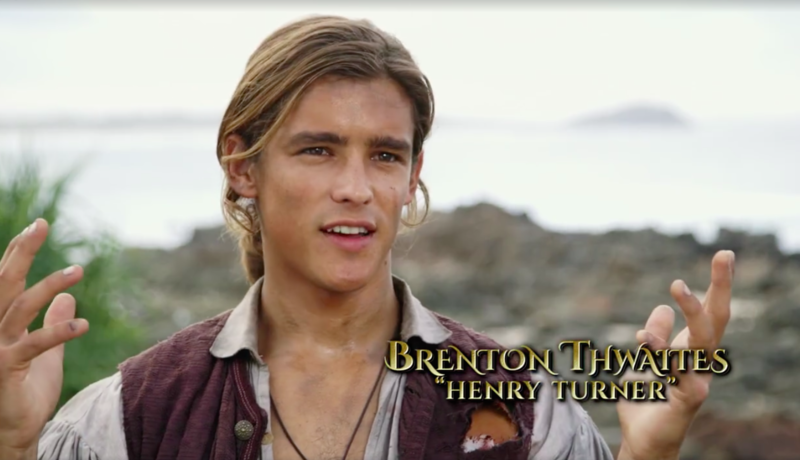 Also, now that Henry is confirmed to be a Turner, and Orlando Bloom is already on-board to return for the film, can we expect to see Keira Knightley, too? If her son is off, sailing around the ocean with a pirate, surely she’s going to want to know about it — right?